“Houston, we have a problem!” One of the world’s most popular expressions came to be after Apollo 13 suffered an explosion in outer space. For many years visitors and tourists did indeed have a problem with Houston, avoiding it and instead visiting other Texas cities such as Dallas, San Antonio and Austin. This trend has fortunately changed for good. Houston, the country’s fourth largest city with a population of two million people and a metropolitan area of six million people, has been growing strongly this past decade. 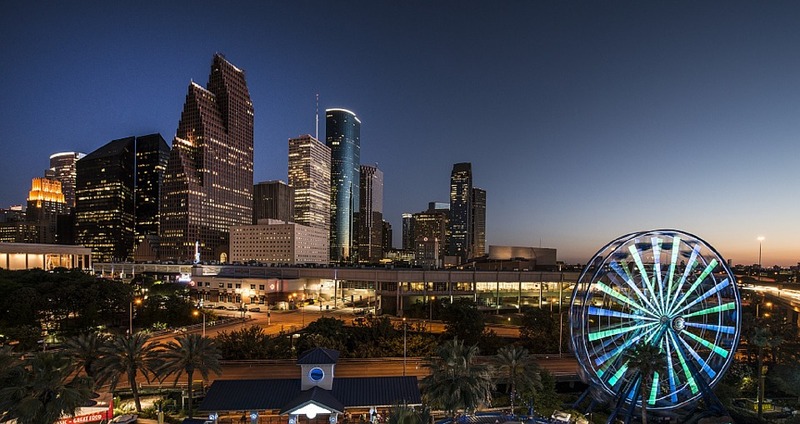 As the world’s self-proclaimed “energy capital”, Houston has enjoyed an economic boom that has seen major corporations move into the city, increased the diversity of the population and brought tremendous changes to the city’s cultural and entertainment scene. Nowhere is this trend towards becoming a more urban and sophisticated city more evident than in downtown Houston. For many decades downtown Houston was a place where people would go work from 9 to 5 and at night the streets would be completed deserted and were considered unsafe. The tide began to change in the middle of the last decade when the local baseball team, the Houston Astros, moved their stadium from the Astrodome to the Minute Maid Park in downtown Houston. Houston’s NBA team, the Rockets, followed suit. Nowadays the area is full of young professionals who live and work downtown and enjoy the areas trendy restaurant, bar and entertainment scene. One of Houston’s hottest steakhouses – Vic & Anthony’s is located close to Minute Maid Park. Along with the economic growth has come a change in the city’s demographics and greater diversity. Houston is now home to one of the country’s fastest growing Asian population. For a taste of Asia, Houston’s Chinatown is well worth a visit. Instead of being located downtown such as New York’s or San Francisco’s Chinatown, Houston’s Chinatown is located in the suburbs of the city. It contains numerous shops, restaurants and cafes that cater to the city’s large population of Chinese, Vietnamese, Korean, Filipino, Malaysian and Thai people. Some of the city’s best Asian restaurants are located in Chinatown. The oil boom created many tycoons in the city and this is visible in the many mansions located in Houston’s posh River Oaks neighborhood. Some of these oil tycoons decided to give back to the community and as a consequence world-class museums such as the Menil Collection have opened. Housing the private collection of John de Menil, the Renzo Piano designed museum is home to works by Andy Warhol, Jackson Pollock and Mark Rothko among others. It also has one of the largest collections of Byzantine and medieval arts on display in the United States. One of Houston’s greatest and most authentic shows is the Houston Livestock Show and Rodeo. It is a livestock exhibition where farmers from Texas and other parts of the country exhibit their prized cattle. The most fun and adrenaline filled part of the show is when Texas famed cowboys or cattle herders, ride the cattle and bulls competing to see who can sit the longest in the saddle of some of the very energetic animals. Many famous country music and pop stars play at the Houston Rodeo, this year’s line-up includes Tim McGraw and Pitbull among others. The Houston Rodeo is a great place to people watch as you’ll see Texans and Houstonians wearing their cowboy hats and boots and beautiful belt buckles – a true Texas experience. This year’s Houston Livestock Show and Rodeo takes place from March 3rd to the 22nd. No visit to Houston would be complete without visiting NASA’s Space Center Houston. Part of the Lyndon B. Johnson Space Center, which was opened in 1958 and is responsible for NASA’s flight control, Space Center Houston has several attractions that are very interesting. Among them are capsules, command modules and vehicle trainers. Space Center Houston also offers different tours and theaters that showcase space related movies. It is a definite stop for anyone with an interest in the outer space. Houston offers many interesting sites to see and fun things to do. It’s a great city to visit with the family, as a couple or as a single – offering something for everyone. Its numerous restaurants and top of the line cuisine ranging from steakhouses to Mexican to Asian to seafood will delight food lovers and its lively trendy nightlife will satisfy the single party crowd. Do be advised that renting a car is highly recommended as the city is very spread out and attractions are located throughout the city. Start planning your trip to Houston so you don’t miss out on the famous Houston Rodeo. Get your ESTA authorization as soon as possible so you are able to enjoy all the sites this great city has to offer!